When I give a tour of Westford Community Access Television (WCAT) I often hear, “I didn’t know this was here!” Followed by, “This is awesome!” As they walk through and see the studio, control room, editing suite and equipment room they are amazed by the possibilities and accessibility. I’ll share five things they learn, as well as what you need to know about your community television station. Free video production training – That’s right, at most community access stations training is offered at no charge, as it is in Westford. That means you can learn how to: plan your production, operate a professional-level video camera, edit your video with either a Mac or PC, operate the studio’s video switcher, control the sound board and lighting grid, and distribute your final program using our cable networks and various internet streaming services. All that may be required of you is membership – which brings me to point number 2. Free membership! – Community access stations (you may know them as “cable access” stations) have free or low-cost membership for residents. In Westford, if you subscribe to a TV cable network, we consider your membership fee already covered in your bill as the “franchise fee.” Most people are unaware that Community Access is primarily funded by the local cable companies. It is not funded by local taxes. For folks that do not subscribe to cable, WestfordCAT charges a low membership fee of $25 annually. 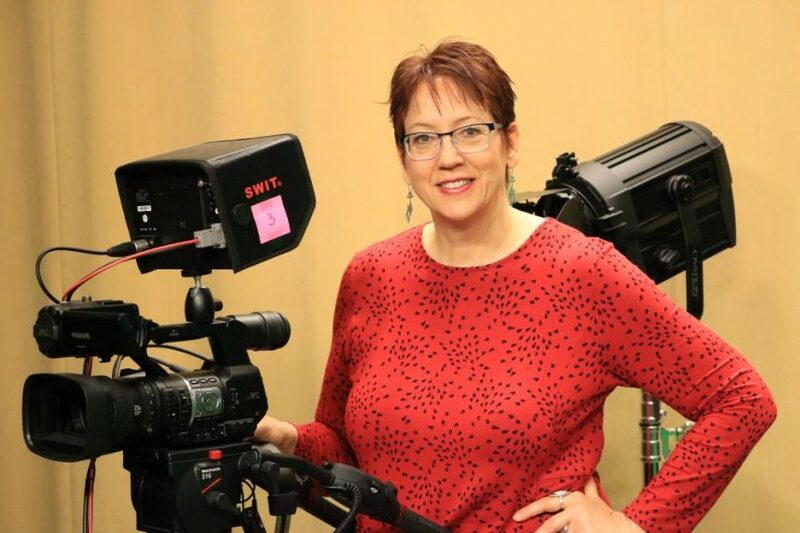 Sharing and promoting your creation (also free) – Your creation is televised on the local public access channels, which are Comcast Channel 8 and Verizon Channel 35 in Westford. Beyond that, WestfordCAT will also stream your production from their website and they can make it available to other stations on both state and national share-servers. WestfordCAT also has online social media channels, enabling programs to be shared internationally. This gives you a powerful network to share your message, bringing me to my final point. Free Speech. Community Access Television was created with the purpose of protecting our First Amendment right to free speech. Everyone has equal access to otherwise expensive, technical methods that enable them to share their message and be heard far and wide without limiting costs or censorship. The staff at Westford Community Access Television is happy to teach you how to optimize all the resources they make available to residents, businesses and organizations. How do you get started? Easy! Call the station or visit us online at WestfordCAT.org to find out about upcoming classes. And please come to the Annual Membership Meeting on Wednesday, June 20 which starts at 6:30pm. You’ll meet many producers, board members, volunteers and the staff. Learn about your local community access center. You’ll be glad you did.